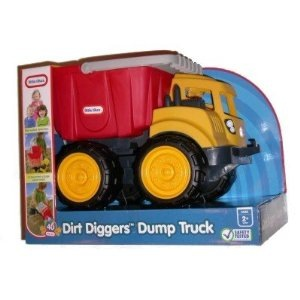 The Dump Truck's bed tilts. It can also be removed and used as a bucket. Batteries not required. For ages 3 and up.